Receiving and giving Christmas Flowers, Gifts & Centerpieces has its origins dating back to the biblical times. The biblical story of the nativity gives the classic narrative of the three wise men from the East presenting gifts of gold, myrrh, and frankincense to baby Jesus. This is considered by some to have been the first Christmas Gift ever given. 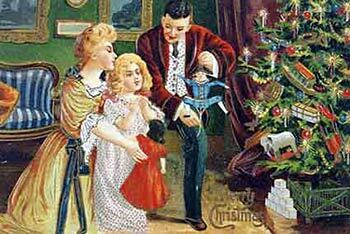 The Victorian era epitomized the real spirit of Christmas and led to the start of many of the current seasonal customs. During those times giving and receiving simple gifts was the order of the day, as apposed to the mass of extravagant gifts often given out nowadays. The gifts would often be simple homemade items such as cakes, clothes, dolls etc. For the more affluent class of people, the manufacturing of toys (often wooden) was introduced. The first commercially produced Christmas card also came into being during this era. Together with cards and decorations, the Victorian Era saw the introduction of many of the Christmas traditions currently enjoyed. 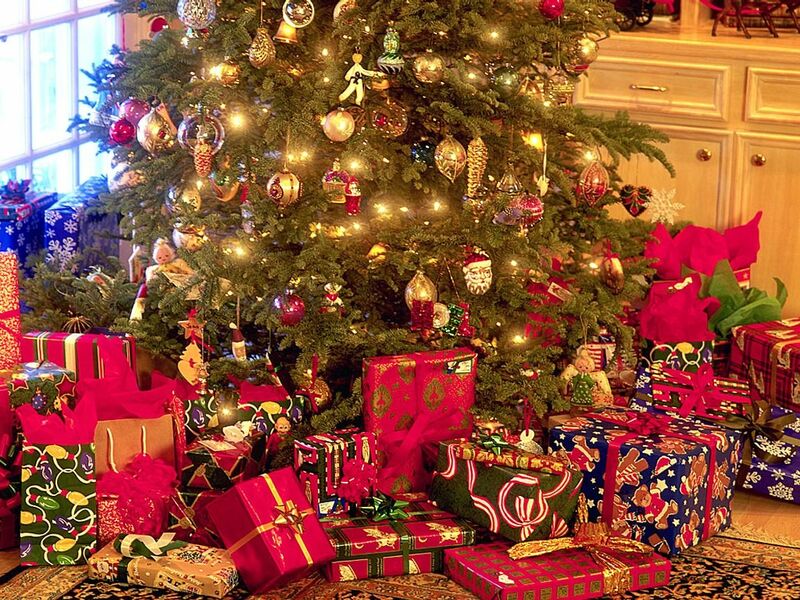 Contrary to popular belief, Christmas celebrations did exist before the Victorian era. In fact back in the Middle Ages Christmas celebration was almost a two week long affair extending up till the night of January 6th, hence the 12 days of Christmas carols was written in 1789. The two week Christmas celebration was a time of much feasting, merriment and of course the giving and receiving of gifts. The generous Lords and Kings would give out essential items such as clothing and firewood to the less fortunate. In contemporary times, Christmas has become a huge commercial enterprise. Business promotions for Christmas begin virtually as soon as Summer Holidays come to an end. For many the Christmas period turns out to be a very stressful. The strain of finding the perfect Christmas Gift takes a toll on many – and many people end up with gifts they already have or don’t want. Although it is true that the build up to the Holiday Season has become a tad bit commercialized in the views of some, it still remains a time for much celebration and enjoyment world over. If you are searching for unique Christmas Gifting Ideas or looking for exquisite Christmas Presents to send across to your near and dear ones, then look no further. Gift your loved ones Christmas Centerpieces for Christmas tables, delectable Hampers containing assorted goodies, enticing cakes or enchanting floral ensembles and spread more joy this Christmas. So go ahead! 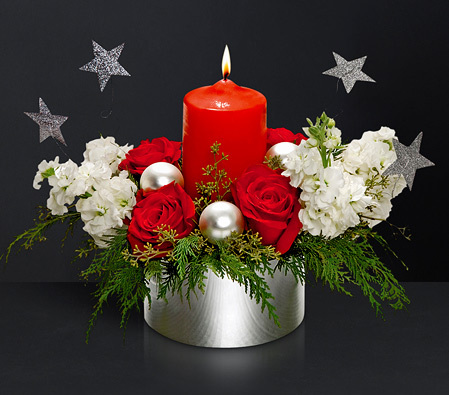 Have a look at the links given below to send Christmas Flowers, Gifts & Centerpieces to any where in the world. 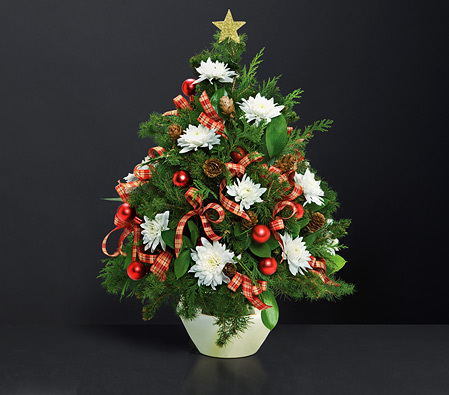 Send Christmas Flowers & Gifts to U.S.A. Send Christmas Flowers & Gifts to U.K.
Halloween has its origins in the festival of Samhain among the Celts of ancient Britain and Ireland. 1st November was considered the end of the summer period, the date on which the herds were returned from pasture and land tenures were renewed. It was also a time when the souls of those who had died were believed to return to visit their homes. People set bonfires on hilltops to frighten away evil spirits and for relighting their hearth fires for the winter, and they sometimes wore masks and other disguises to avoid being recognized by the ghosts thought to be present. It was in these ways that beings such as witches, hobgoblins, fairies, and demons came to be associated with the day. In the 7th century AD, Pope Boniface IV established All Saints’ Day, originally on May 13, and in the following century, perhaps in an effort to supplant the pagan holiday with a Christian observance; it was moved to 1st November. The evening before All Saints’ Day became a holy, or hallowed, eve and thus Halloween. By the end of the Middle Ages, the secular and the sacred days had merged. The celebration of Halloween was largely forbidden among the early American colonists along with other festivities, although in the 1800s there developed festivals that marked the harvest and incorporated elements of Halloween. In the mid 19th century beginning when large numbers of immigrants, including the Irish, went to the United States, they took their Halloween customs with them, and in the 20th century Halloween became one of the principal U.S. holidays, particularly among children. 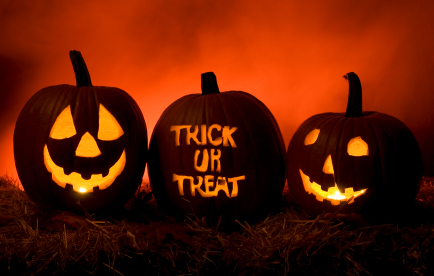 As a secular holiday, Halloween has come to be associated with a number of activities. One is the practice of pulling usually harmless pranks. Celebrants wear masks and costumes for parties and for trick-or-treating, thought to have derived from the British practice of allowing the poor to beg for food, called “soul cakes.” Trick-or-treaters go from house to house with the threat that they will pull a trick if they do not receive a treat, usually candy. Halloween parties often include games such as bobbing for apples, perhaps derived from the Roman celebration of Pomona. Along with skeletons and black cats, the holiday has incorporated scary beings such as ghosts, witches, and vampires into the celebration. Another symbol is the jack-o’-lantern, a hollowed-out pumpkin, originally a turnip, carved into a demonic face and lit with a candle inside. 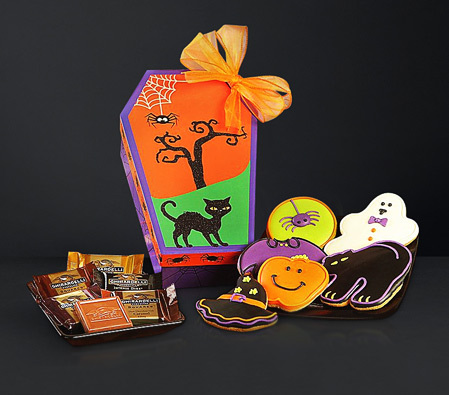 Celebrate the fun, frolic and spookiness of Halloween with a twist this year. Surprise your family and friends by sending them stylish Halloween Posies or delectable Hampers full of assorted goodies. 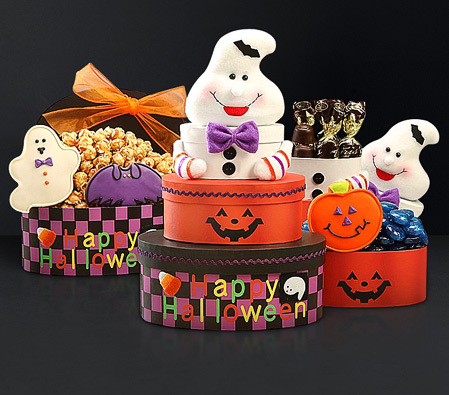 While the traditional trick-or-treating, jack-o-lantern carving, apple bobbing and spooky storytelling go on, add a whiff of fresh air to the Halloween merriment with spirited ensembles. 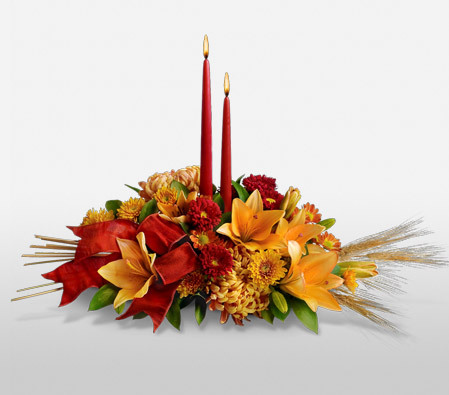 Send vibrant Halloween flowers to your loved ones and celebrate Halloween with great fervor and gusto. This year Halloween will be celebrated Worldwide on 31st October. 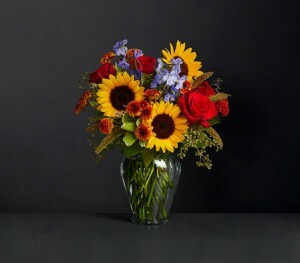 – Send Halloween Flowers to U.S.A.
– Send Halloween Flowers to U.K.
“Loving is tough; long-distance loving is tougher”. In a long distance relationship it’s important to give a meaning to your love life, because you’re stripped of your most basic necessity of relationship-building, which is, meeting each other. You are not present, but there are plenty of ways to make your presence felt. & flowers are the best way to “Be There”. No need to spend a lot of money, the efforts you put in to make your presence felt is important. Remember, to show your love you can choose the most expensive jewelry, latest electronics or some other exclusive gifts, but experts will tell you there is nothing like flowers, specially in a long-distance relationship. It’s no secret people have expressed their love through flowers for thousands of years now. The only difference today? it’s become a lot more easier to send your wishes through flowers across the globe. You surely are going to miss that special someone & there’s no better way to make up for your absence other than by sending flowers. Yes! planning well in advance for the special occasion is important for a timely delivery that makes the floral gift doubly worth. And Oh! don’t miss to add a personalized note to makes it even better. Always remember to choose flowers based on the significance & the meaning they make. This is a genuine way to show “You Care”. Red, Pinks & Whites remains the traditional favorite of couples. A mixed colored bunch of any two uncommon colors will make a great choice for friends or relatives. For that extra special occasion, you can add a cake or gifts like soft toys, hampers, fruit baskets or even a perfume with your floral delivery. So what if you aren’t there to wish someone good morning or a happy birthday, Flora2000 has taken care of it for you. Go ahead & make your presence felt with fresh flowers, gifts or hampers through us. 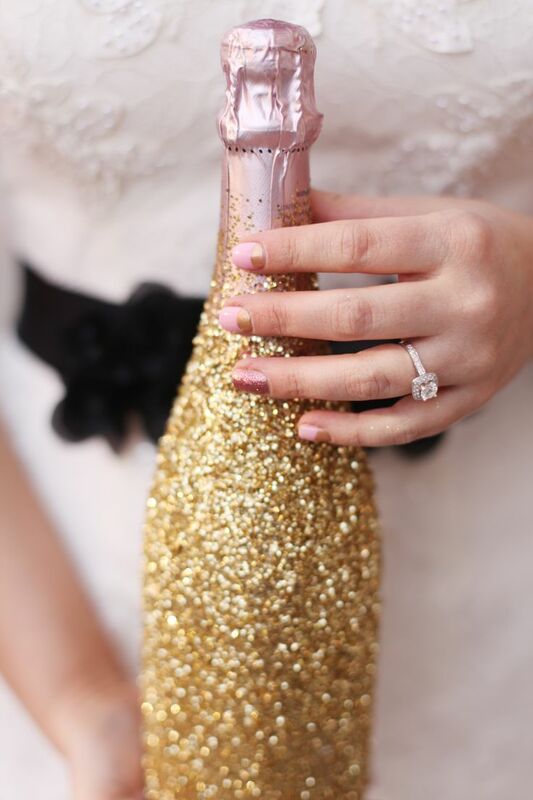 You will never miss a special occasion with our reminder services. With our worldwide flower delivery services to more than 180 countries, Flora2000 will make sure your gifts are delivered on time & in the most pristine condition. So what are you waiting for? 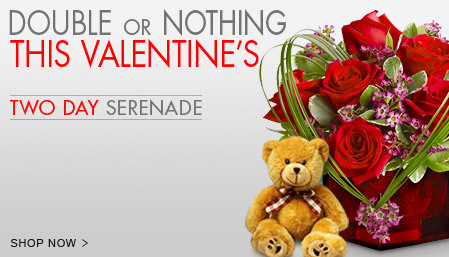 order fresh beautiful flowers or amazing gifts for that special one and see them smile with ecstasy. This Mother’s Day you can give your mom something that she will truly cherish and appreciate, a photo album of old memories. Remembering incidents and stories from childhood or family trips taken together is a fantastic way to spend Mother’s Day. With a photo album, you get to be creative and put a little bit of yourself into it, while also having the certainty that she will like the photos you put in the album. Research has shown that 96% of women like to receive flowers when they’re not expecting them. It isn’t always necessary for you to have a reason to send flowers, sometimes flowers can be sent simply. If you don’t have an occasion to celebrate, then here’s your chance to create one. Women love surprises, and they love men who take time out to surprise them, a whole lot more. With international flower delivery, sending surprises has become easier than ever. A woman appreciates the fact that her man was trying to do something meaningful for her. Flowers make simple yet meaningful gifts, their worth can’t be measured in money. It is the thought that counts. 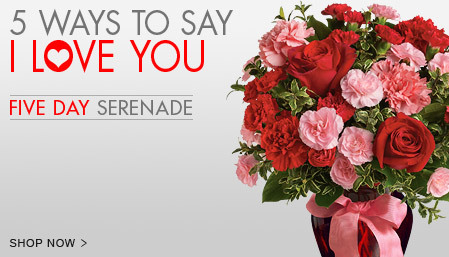 Bouquets come across as symbols of love and affection that last but for a few days. It’s a completely impractical gift, and that is why it makes more sense to a woman, because it is beyond barter. For women, the cost of the gift doesn’t matter too much, but the thought that has gone behind it. Getting an impromptu gift means a lot to women. It gives them confidence in the relationship they share with their man and also in themselves. It gives her an assurance that her man took time out to think about her and do something thoughtful, and that he doesn’t need a special occasion to surprise her. And this feeling for a woman, is more important than the satisfaction that she gets from a material gift. 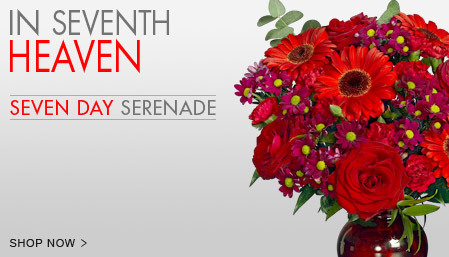 A floral gift has more value when the man takes time out to choose a flower arrangement that fits his special woman. So men, go beyond the traditional red and pink roses. Use your imagination; send a her a fresh bouquet of lilies or orchids. If you are planning to surprise her, don’t let it be a typical one. Flowers smell fresh; feel fresh and women feel wonderful that someone has cared enough to send them an unexpected floral surprise. Women love being the cause of envy. She’ll love being the center of attraction at her office bay as that proud bunch of blooms; you gifted her, sparkles on her desk. To make it even more special, men can send in a hand-written note with the bunch of blooms. In today’s age of smart phones, emotions are being spilled on chat applications in overflowing quantity. But in contrast, a simple thoughtful handwritten note would mean so much. Although flowers aren’t as lasting as a dress or jewelery, they have their own value because they give a different kind of joy. The joy of flowers is short-lived and that is exactly what makes it more precious. Every time she sees the flowers you sent, she will think of you and will be so much in love with you. Women are romantic beings, who are perpetually in love with the idea of romance. 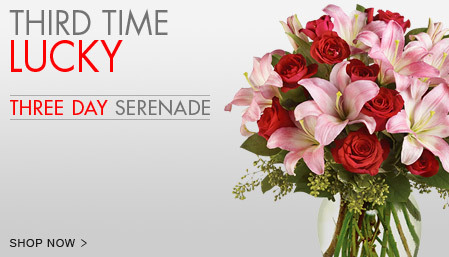 A dreamy reminder like a bouquet of flowers is surely something they’ll love over anything else. The most important thing to know is that, men; you simply can’t go wrong with flowers. All you have to do is select a bouquet you think she’ll love, and flora2000.com will have it delivered in the most pristine condition. And the best part is, you’ll get all the credit for the surprise. Valentine’s Day is just around the corner and we’re pretty sure everyone in love out there must have already made plans to surprise their significant other. Statistics suggest that about forty-five percent of men believe that sending Valentine’s Day flowers to their partner is the best way of expressing love, but most women want their partner’s time and attention along with flowers and gifts! Surprised? Read on for more such cool facts! Yes, this is true! Statistics suggest that about 37% of women believe that Valentine’s Day is not important for their partners. Only 5% of men admit to feeling the same about their female partners. According to statistics, about 25% of men believe that Valentine’s Day is just for women since women are more particular when it comes to the relating aspect of relationships. And do you know how many women agree? About 19% of women also feel the same. Okay, dear ladies, you gotta accept this one! Every woman in the world wants to be loved and made to feel special, especially on Valentine’s Day. Won’t you be upset if your partner forgets Valentine’s Day or fails to make you feel special? Well, about 37% men feel that their partners would be devastated and would feel unloved if they forgot to gift them on Valentine’s Day. And, guess what? Over 13% of women agree! This might not come as a surprise, considering the love of women for jewellery since ages. Although most women would not ask for it directly from their man, over one-third of women actually desire jewellery as a Valentine’s Day gift from their partner. Can you guess what men desire for? Over 70% of men simply want to make some love. Now that’s an interesting one! Dear men, you gotta keep this in mind while selecting a gift for her this Valentine’s! About 52% of women, according to statistics, feel envious when others receive romantic gifts and surprises from their partners. About 16% of men admit to feeling the same. Have any more statistics or confessions to share? Let us know in the comment box below! “ALL YOU NEED IS LOVE!” Valentine’s Day is coming soon and it’s time to rekindle your romance and woo her. Dear Men – You do want to prove your love to her & make her realize your feelings – right? So here are 5 wonderful ideas from Flora2000 that would help you rekindle your romance this Valentine’s! When was the last time the two of you went on a romantic date? Don’t remember? This season of love, plan a romantic date and let her know how much you value the time spent with her. 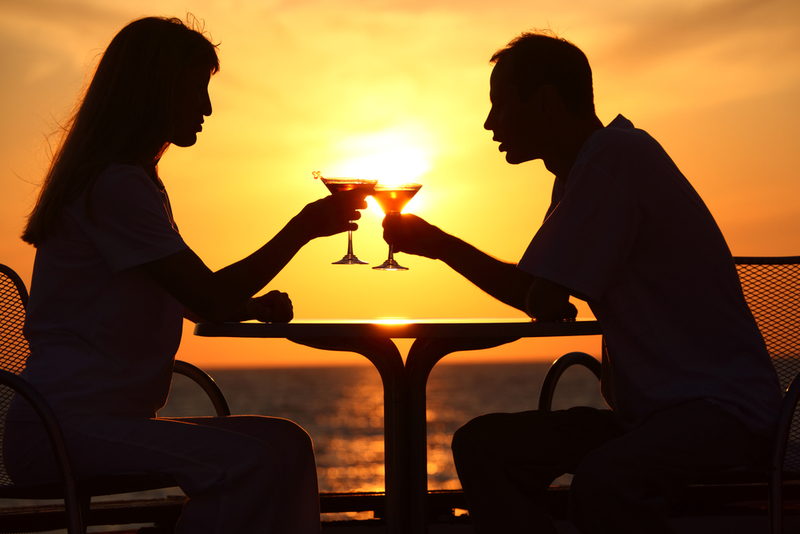 You may arrange a date at a beautiful sea facing restaurant or keep it as simple as a candle light dinner in your backyard. 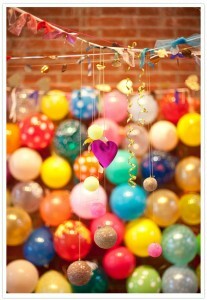 Make sure you decorate the place beautifully to get a smile on her face. Believe it or not, when men cook, it is a big turn on for women! Women love it when their partners cook for them, whatever it be, and however it might turn out. 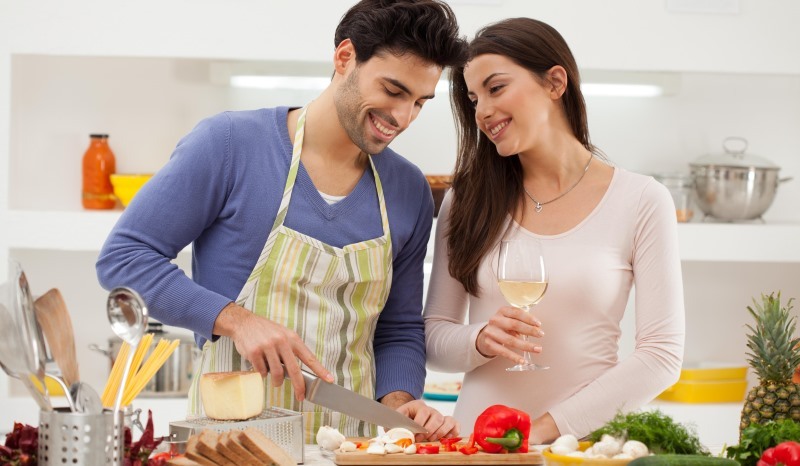 She values what you cook for her not because it tastes delicious but because you made it for her. She values the sentiment. Okay so this might seem a bit common, but trust me guys, gifts do a lot to recreate magic in one’s lost romance. Women absolutely love being gifted and it doesn’t matter to her what you gift. 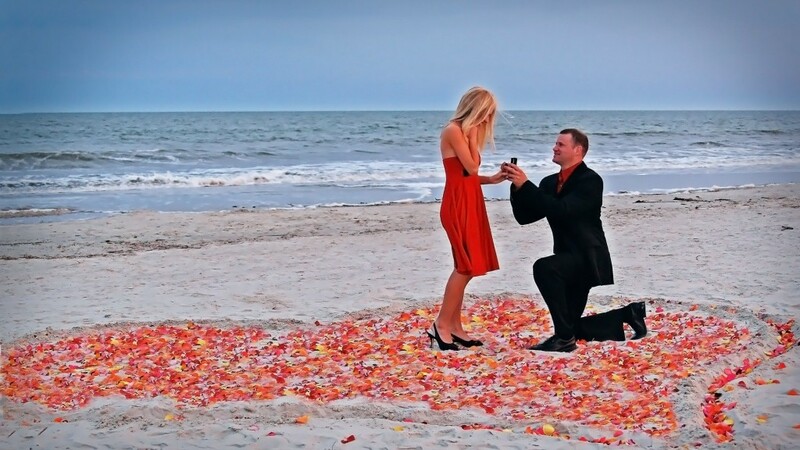 Be it something as magnificent as a diamond ring or even a simple greeting card, she will value it with all her heart! To leave her spellbound, you can try making personalized gifts such as a romantic video or a photo collage of your pictures when you were dating. Yes, as much as women love gifts, they love surprises! 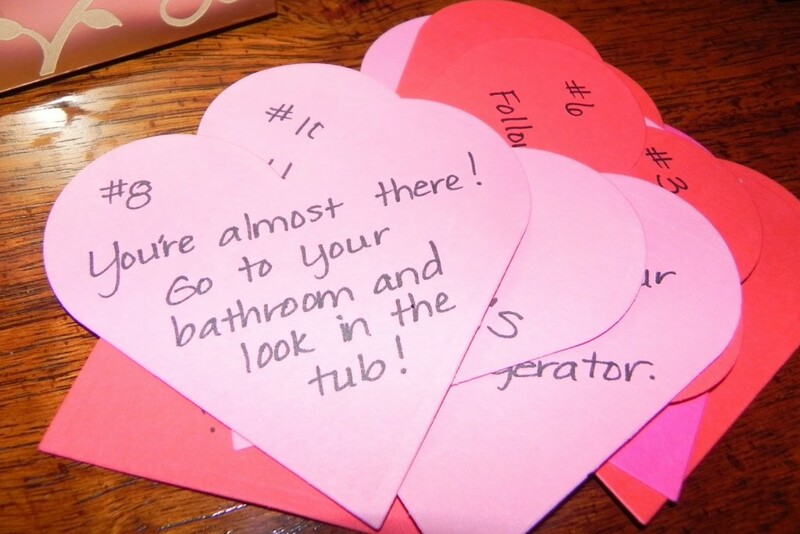 You can surprise her by writing a love letter or even listing down 10 things you simply love about her. You may prepare a card that hosts your best memories or simply send her pretty Valentine’s Day flowers. Either way, she’ll feel your love for sure! This can be a bit of a challenge. But, if you do it right, this Valentine’s Day will surely be one of the most special and memorable ones for her! For instance, if you are taking her out on a date in your car, keep some rose petals or a simple note saying ‘I Love You’ on the sun visor of the passenger seat. Once she is in the car, tell her that her makeup has smudged a bit. As soon as she pulls the sun visor down, BAM… the flower petals and the note fall on her face. Now that’s something any and every woman will love for sure! If you have more such exciting ideas to rekindle romance this Valentine’s, do share with us in the comment box below. 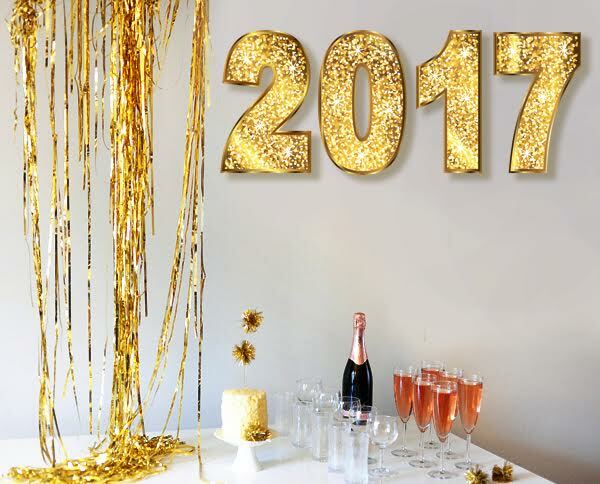 Cut out “2017” in cardboard. 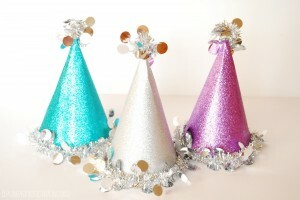 Wrap it up in tinsel of Gold or Silver (your choice. Gold looks fancy though). Add hooks to each of the digits and hang them on a thin string. Sprinkle glitter over the adhesive. 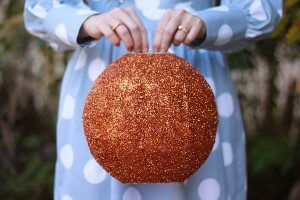 Spray the adhesive again and add another layer of glitter. Do this till it’s completely covered in glitter. We recommend Briar Creek Cellar’s Chardonnay, makes a fine drink. You can book it here. Make sure you this a day or two in advance, you don’t want your guests to consume glitter with their champagne. 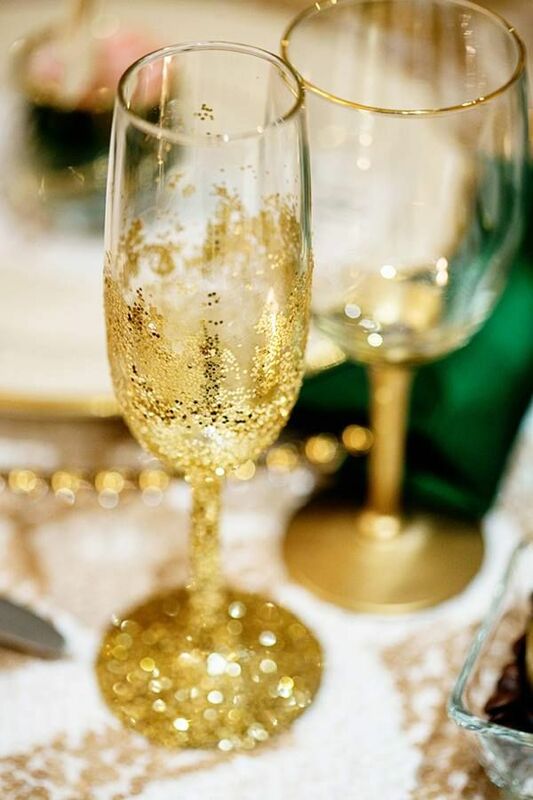 We hope you liked our ideas and we wish you a sparkling New Year’s. If you have any DIY ideas that you would like to share, please add them in the comment box below. We look forward to your response.